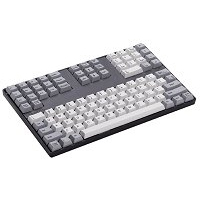 This keyboard is like having two half keyboards in one and uses high quality rubber-dome membrane keyswitches to provide a quiet tactile feel when keying. 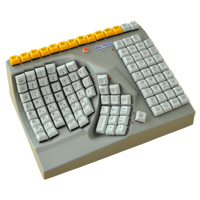 Accommodating both left and right handed users with full-size keys, both halves of the keyboard can act as a complete keyboard, accommodating all users desiring single handed input. 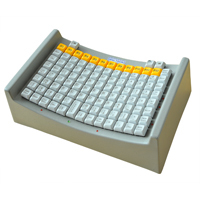 Can also be used as a regular conventional two handed keyboard. It functions on both PCs and Macs. 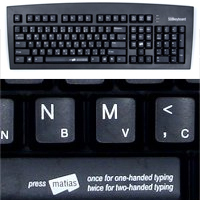 The revolutionary Matias Half Keyboard allows the user to type with their left hand drawing on any existing QWERTY layout keyboard experience. 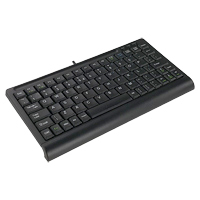 This ultra-compact keyboard is a one-handed version of the standard desktop keyboard for the left hand. 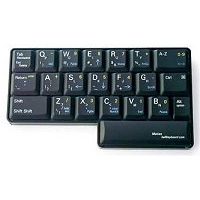 The 22 full-size high-quality scissor-switch chording key layout yields a sleek, thin solution providing access to all keys on a regular keyboard. 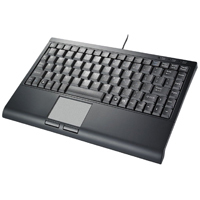 The Half-Keyboard is ideal for individuals with minimal range of arm movement seeking a solely left-handed keyboard input solution. 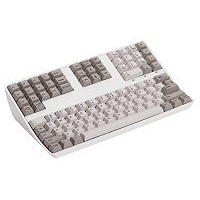 This full-sized keyboard has dual-legended keys allowing it to be used as a regular keyboard, or as a one-handed keyboard for the left or the right hand. One- or two-handed typing can be simply toggled on or off. 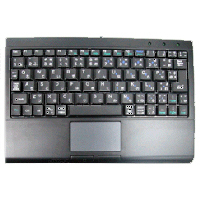 The 508 Keyboard has full-sized, high quality membrane keyswitches with the standard modifier and function keys and a numeric keypad. Note:Problems in the last production run resulted in some of the larger keys being slightly askew. We have discounted affected models, however this is a cosmetic problem only and does not affect functionality.